Certified for prolonged submersion under pressure and are UL Ignition protected. 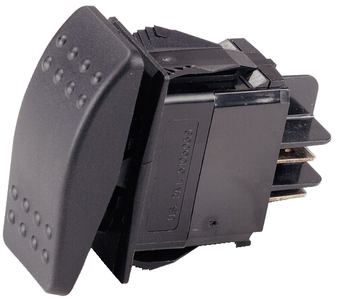 Rating: 20A 12 VDC, 10A 250 VAC, 15A 125 VAC. On in parenthesis (On) indicates a momentary position. Illuminated switches are red in the On position.